First it was the miniskirts and now it’s the fuel guzzling 4×4’s that have taken social media by storm. “That’s simply fabrication,” says presidential spokesperson Gerson Msigwa. The hoaxes feed on Magufuli’s real cost-cutting measures, which include curbing international travel by government employees and fancy meals on the government’s dime. “The President is very interested in minimizing cost and expenditures,” says Msigwa, speaking from Dodoma — where Magufuli drove instead of flying. 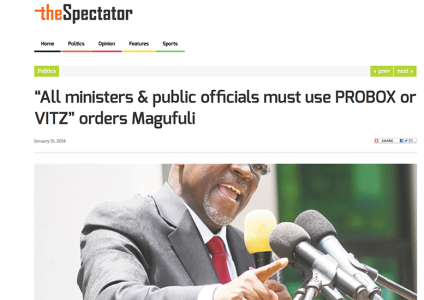 It doesn’t stop with the 4×4’s: the Spectator has also churned out unfounded claims that Magufuli has banned red carpets as well as idle chats and milk tea for government staff. In November 2015, the Spectator published faked quotes from Robert Mugabe, which were later used in an article by the New York Times. 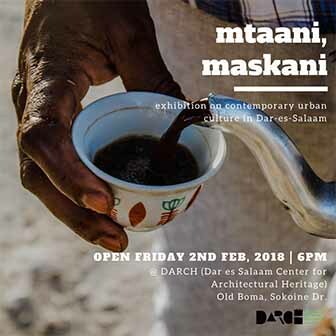 Tanzania is not alone in this, last week Eritrea was the target of a hoax claiming that a new law would force men to marry at least two wives. That hoax appeared to originate in Kenya as well.